Home › Lily Cindy Cotton Linen Decorative Throw Pillow Cushion Covers Pillowcase She..
Lily Cindy Cotton Linen Decorative Throw Pillow Cushion Covers Pillowcase She..
Lily Cindy Cotton Linen Decorative Throw Pillow Cushion Covers Pillowcase Shell the Lavender Wish Tree Embroidery 18" X 18"
Our best selling pattern now comes in a variety of colors! 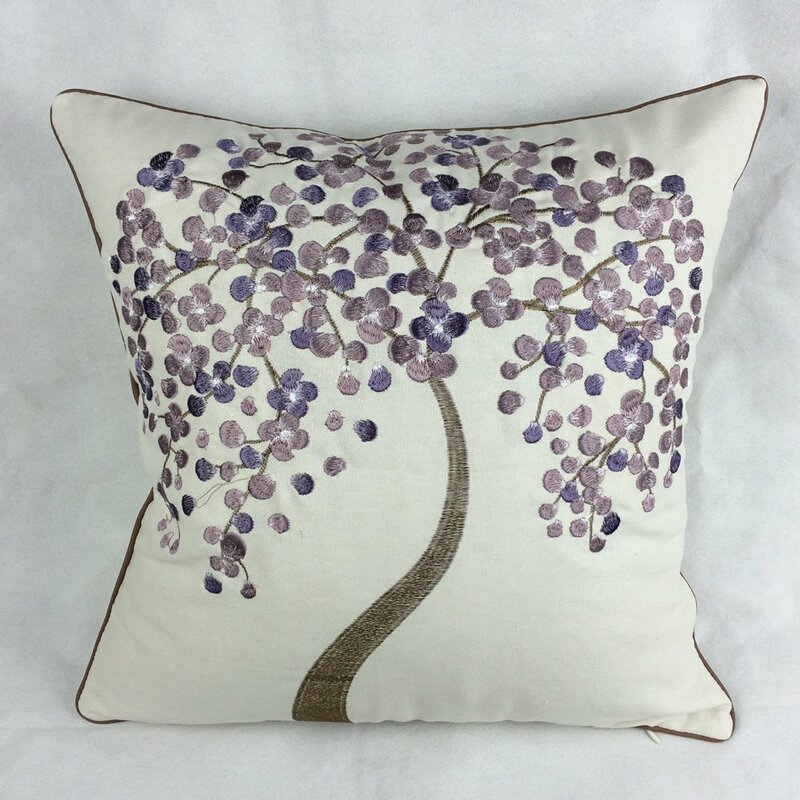 Bring new life to your living room, family room, or den with these hand made nature fabric pillow covers. These pillow covers are made from 55% cotton which gives them a good touch feeling and 45% linen-just enough to allow for health. These pillows can even be pressed with a warm iron, if desired! Pillow covers measure 18" x 18" and require 18" inserts (or recycle your old 18" pillow).